Find phlebotomy training classes in Pennsylvania below! A phlebotomy technician is a member of the clinical laboratory team who is responsible in getting blood specimens for diagnostic testing. There are many schools in the United States that offer programs for phlebotomy technicians and the Montgomery County Community College in Pennsylvania provides comprehensive coursework for aspiring phlebotomists. The phlebotomy technician course created by the school is approved by the National Accrediting Agency for Clinical Laboratory Sciences (NAACLS). The program is designed to teach students technical skills to effectively and safely collect blood samples and also interact with patients and other healthcare professionals. Aspiring students who want to enroll in the program need to have liability insurance and complete record of vaccination history. Admission is on a first come, first serve basis and enrollment starts during fall and spring season. Once enrolled, students undergo comprehensive training that is 10 weeks of classroom and laboratory instructions. They are also required to get 100 hours of off-campus clinical practicum before they are legible to take the certification exam. Phlebotomy technicians are in high-demand in clinical industries. If you live in Pennsylvania, you can study how to become a phlebotomy technician at the Harrisburg Area Community College. The community college awards a diploma for entry-level phlebotomy technicians who have completed this two semester long program. Moreover, students are required to have hospital work which is 3 weeks in length. Aside from entry-level phlebotomy technician training, the school also provides phlebotomy training for healthcare professionals to help refresh old skills and learn new ones. This is a 30-hour course, but it does not qualify students to take the certification exam. The Harrisburg Area Community College admits students who have a grade of C or better. Furthermore, the student should have a 2.0 GPA to continue on to the next semester. The program fee is $4,829 for one semester only, but it also provides in-state sponsorship programs so that applicants can save money on the cost. The Community College of Beaver County offers various medical-related courses including phlebotomy. This school provides a fast-tracked program for phlebotomy technicians that will help prepare them for employment. The phlebotomy program offered by the Community College of Beaver requires students to take a total of 6 credit units which include both classroom and laboratory instructions. The program teaches students to learn about the human anatomy and physiology as well as learn hands-on training on how to draw blood using different types of skin puncture techniques. As soon as students complete the program, they become eligible to take the national certification exam to become certified phlebotomists. It is interesting to take note that the Community College of Beaver County is the only school in Pennsylvania that has a certification exam passing rate of 100% for the last 6 years. 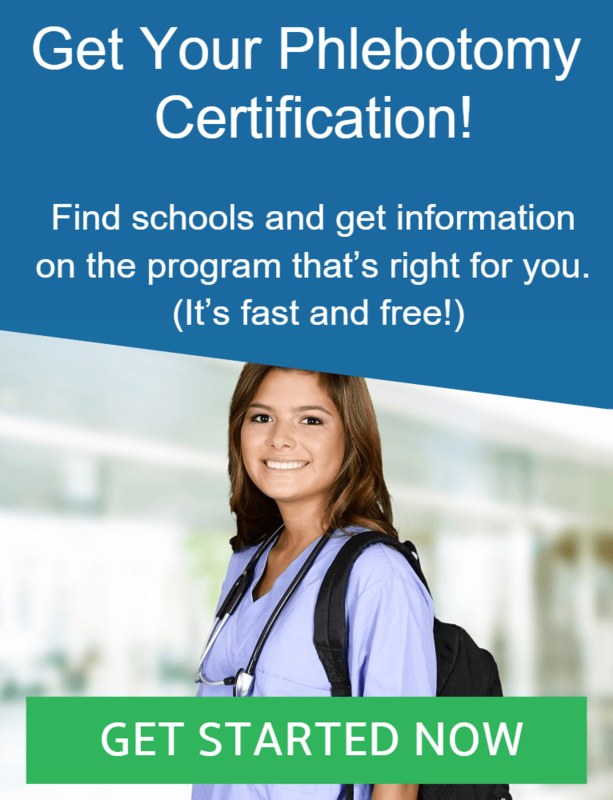 So, if you want to ensure your certification and passing rate, you should enroll in this school fast. The Bucks County Community College is the only community college in Pennsylvania that offers EKG and phlebotomy technician where students learn about the basics of phlebotomy and the interpretation of cardiac strips. Graduates from this training program are able to work at different clinical settings like cardiac rehabilitation centers, laboratories, hospitals and clinics. This hybrid program is a 90-hour certificate program for phlebotomy that prepares you on how to become a phlebotomy technician. The Bucks County Community College not only offers classroom and laboratory training but also on-line training. Once you complete the training program, you are eligible to take the national certification exam. Since this is a hybrid program, you are also required to take a 60-hour EKG technician training to learn how to operate the electrocardiograph. Graduates of the program also have the option to take the EKG technician exam or the NHA exam. Taking the EKG/Phlebotomy training program at BCCC allows you to broaden your employment opportunities within the healthcare industry. If you are looking for a career in the healthcare industry that is both rewarding and challenging, then consider a degree as a clinical laboratory technician. Those who wish to enter this program need to present his or her high school diploma, must have a clean criminal record, as well as pass the series of examinations. Moreover, they need to maintain a grade of C or better. Aside from clinical laboratory technician training, the school also offers an Associate in Applied Science which will allow them to pursue higher education from universities. To become a full-fledged clinical laboratory technician, students need to complete the 63 credit hours prescribed by the school’s program as well as get a grade of 2.0 or better. Students also need to complete the credit units within four semesters (two school terms). The clinical laboratory technician program of the Community College of Philadelphia is accredited by the National Accrediting Agency for Clinical Laboratory Science. Graduates can also take the MLT ASCP Board of Certification Exam. Working as an entry-level phlebotomist requires you get training and certification and the Community College of Allegheny County in Pennsylvania is one of the few schools that offer phlebotomy certification. The school offers a rigid program where students learn how to apply the principles in collecting blood specimens and also adhering to infection control, all of which students will learn within one semester. The program is open to applicants who are 18 years old or above and those who do not have any police records. Once enrolled, students are required to complete 12 credit units which are equivalent to four courses that are taught in both classroom and laboratory settings. Students are also required to get at least 100 hours of supervised clinical training under an affiliated clinical setting. After completing the required credit units and the clinical training, students can then apply for the national certification exam organized by the American Society for Clinical Pathology.